By Ryan | Posted in ccTLD. The .Asia landrush period ended today, and no matter how many press releases I read about it, I still do not get .asia. Don’t get me wrong, I understand what they are saying and it sounds fine on paper. 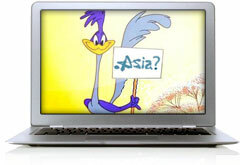 Promoters of .asia say that the Asia/Pacific region is one of the fastest growing online communities in the world. In fact, they say, it contains 60 percent of the world’s population and over 500 million users connected to the internet. That statistic sounds great, but how does it work in practice? Say I was the CEO of the Acme Company, and I wanted to expand to areas outside of the southwest United States. Maybe I want to sell my Acme products in China and Japan. Should I register AcmeCompany.asia to show how much I “get” the region and “understand” the culture of the people in the area? If so, what language should I use for my site? Would people in China be more likely to visit AcmeCompany.asia or AcmeCompany.cn? If they were to visit the .cn website, they could reasonably expect that the site would be written in their language, but with more than 90 languages in the Asia Pacific region could they have that same expectation if they visited the .asia site? Also, is the word “Asia” meaningful for people in the region, and is the word “Asia” used in any native language? What if the situation was reversed, and the Chinese created a “great” extension to reach the people in the North American region. Would any of the English, Spanish, or French speaking residents of North America visit a site with the “. 北美洲 ” extension? A big market for this TLD will likely be companies looking to protect their brands, and speculation on a few valuable keywords will pay off, but beyond that I just don’t see the value in this TLD. Serbian National Register of Internet Domain Names (RNIDS) began registering .rs domains today, March 10 at 12 noon. After the dissolution of Yugoslavia (.yu) in the 1990s, the independent country of Serbia and Montenegro (Crna Gora i Srbija in Serbian) was assigned the ccTLD .cs (yes, the same one previously assigned to Czechoslovakia). During this time, the .cs extension was never assigned an operator and was not used. The Republic of Serbia then became an independent state in 2006, after Montenegro (now using .me) left the union. According to documents on the official website (http://www.rnids.rs/include/data/list0032_en.pdf), existing .yu domains can be converted to .rs domains before general registration is opened to the public. Serbia: Start of .rs domain registration March 10. Serbian National Register of Internet Domain Names (RNIDS) informs Serbian and international public that registration of the new Internet domain names of the Republic of Serbia with .rs extension, will commence on Monday, March 10, 2008 at 12h noon. RNIDS will accept requests for registration of new .yu domain names until Friday, February 29, 2008. 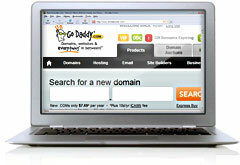 After this date registration of new .yu domain names will no longer be possible. All .yu domain names registered until this date will continue to function normally at least until September 30, 2009. Registration of new .rs domains will be conducted through 27 Serbian companies, which were accredited by RNIDS as the accredited registrars of .rs domain names. List of the accredited registrars of .rs domain names, as well as detailed rules and procedures regarding .rs registration and transition from .yu to .rs, are available at Web site www.rnids.rs.